Designed specifically for motocross bikes without electric start. The MX 2000 is a dual head light Kit and comes with a compact battery that will power the Light for four hours. The battery itself has an on/off switch and mounts directly behind the front number plate. The lights are made from CNC machined aluminum. The lenses are a spot light style lens that’s virtually unbreakable. 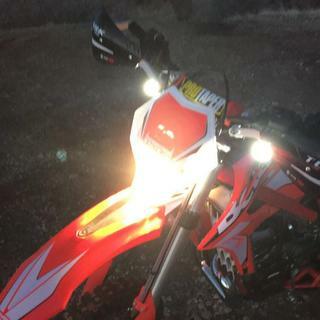 Thumper Jockey uses high quality Cree XML LEDs and high performing driver to deliver the brightest possible light. Handlebar mounts are strong CNC machined aluminum that clamp firmly to either 7/8" or 1 1/8" bars to keep your lights pointed forward no matter how rough the trails are. 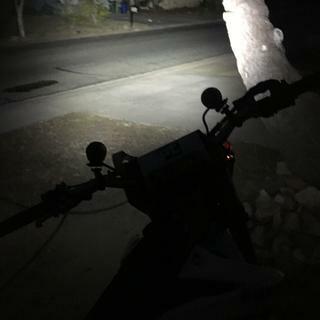 Just installed this kit on my 05 Crf450r and I’ll say in the end it’s a good light kit, it’s brighter than I thought it would be from a battery powered kit. 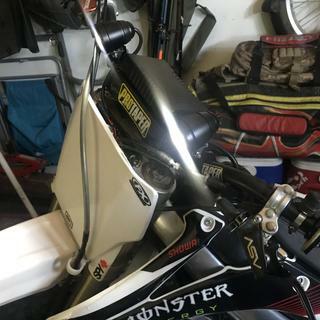 Downfalls is its kinda pricey and the battery pack doesn’t fit behind my front number plate as I read about but it is a great kit for mx bikes without factory lights. Very well built. I have these and the Helmet light they offer. Very well build lights and works great. I have the ones that go straight to the battery but these work great on my other bikes. Love them so bright! The only bad thing is the sticky part of the Velcro needs to be stickier. 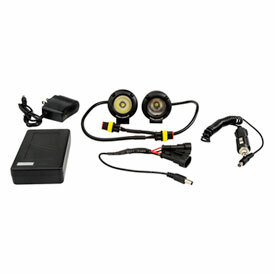 Interested in this product but...This battery pack that maintains the power to lights, where did you mount it at? If anyone has pictures of how they did this or just an explanation will do thanks. BEST ANSWER: The kit comes with two self-adhesive velcro strips that stick to the inside of your number plate and to the battery pack. I had to mount it a few different times before it would clear my cables and such. I have debated on making a small plastic case for it and bolting it to the inside of my plate because I had the velcro wiggle it's way loose on particularly bumpy rides. Also worth mentioning, I had to make custom brackets for them to make them lower than my older cycra guards and to aim them how I wanted. The light is a great system, but expect to do some minor engineering. 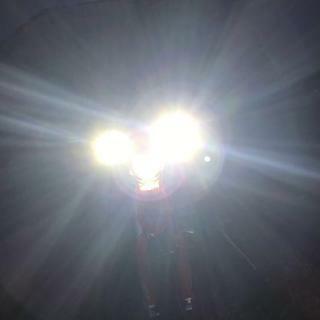 These meet DOT specs to use on a dual sport? 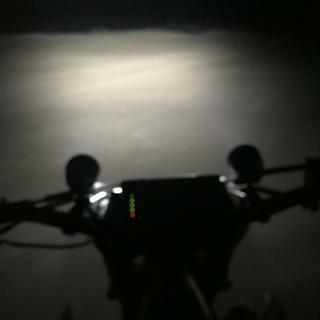 BEST ANSWER: Sorry I am not sure what you're asking but the lights do not meet DOT specs! 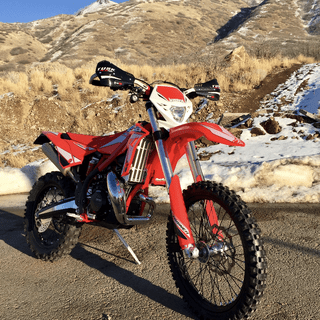 How to Make cr500 street legal in utah? BEST ANSWER: You will have to check with Utah state laws to see what they require to make your bike street legal. Can this be wired to the tusk compact controller? BEST ANSWER: No, it cannot. There is a switch on the battery pack that turns the lights on and off.